Torino recorded a first league win of the new season after an impressive 5-1 thumping of Bologna on Sunday evening. 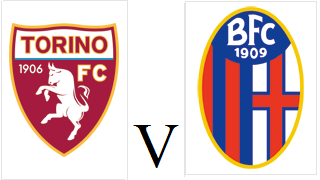 Siniša Mihajlović made a number of changes to the team who lost against AC Milan on the opening day, as Leandro Castan, Cesare Bovo, Daniele Baselli, Marco Benassi and Iago Falque all came into the team. Toro suffered a set back in the early stages as Adem Ljajić was forced off injured for the second game in succession. However, moments later, the Granata took the lead when Andrea Belotti headed home Lorenzo De Silvestri's cross. That lead did not last long as Bologna were level four minutes later as Saphir Taider dispossessed Daniele Baselli on the half way line before running unopposed and firing his shot into the bottom corner from the edge of the area. Torino regained their lead before half time as Andrea Belotti smartly rolled defender Marios Oikonomou before finishing past Antonio Mirante. Toro extended their lead when Iago Falque's cross was diverted into Josef Martinez's path, and the Venezuelan side footed the ball past Mirante. Substitute Lucas Boyé contributed to Torino's fourth goal as he won the ball in the final third and then selflessly passed to Daniele Baselli who finished well. Andrea Belotti won a penalty for Toro when he was tripped by Erick Pulgar, although for the second game in a row, he saw his spot kick saved. However, Belotti, who has just been named in Giampiero Ventura's first Italy squad would not be denied, and he completed his hat trick when he converted Cristian Molinaro's fine cross. Torino will look to earn their first points of the new season when they welcome Bologna to the Stadio Grande Torino on Sunday evening. Adem Ljajić who came off injured in the opening game against AC Milan is fit again, as is Spanish winger Iago Falque who is in line for his competitive debut. Bologna beat newly promoted Crotone in their opening league game last weekend thanks to Mattia Destro's late goal, and will be looking for revenge as Toro beat them home and away last season. It was opening day agony for the Granata as Andrea Belotti had a last second penalty saved to deny Torino a deserved point against AC Milan. Sinisa Mihajlovic gave Lorenzo De Silvesti, Luca Rossettini and Adem Ljajic league debuts as he returned to his former club. M'baye Niang had the first chance of the game after he received Carlos Bacca's clever pass, but the Frenchman's volley hit the side netting. Adem Ljajic's first league game in a Toro shirt last less than half an hour, as he was forced to come off injured following a collision with Alessio Romagnoli and he was replaced by Lucas Boyé. The home side took the lead just before half time when Cristian Molinaro misjudged a long ball and his mistake was capitalised on by Ignazio Abate who delivered a perfect cross for Bacca to head home. Molinaro quickly made amends for that error as he provided the cross for Andrea Belotti, who found the bottom corner with a glancing header moments into the second half. However, Toro were only level for two minutes as another error, this time from Emiliano Moretti allowed Carlos Bacca to nip in for his second goal of the game. The Rossoneri were then awarded a penalty after Giacomo Bonaventura was tripped by Joel Obi, and the Colombian Bacca converted the spot kick to complete his hat trick. However Torino failed to give up, and when substitute Daniele Baselli waltzed passed the Milan defence before side-footing past Gianluigi Donnarumma, it gave the Granata injury time in order to find an equaliser. In the dying seconds, Gabriel Paletta was penalised for a tug on Andea Belotti in the area and the defender received a second yellow card. Belotti stepped up to take the kick himself, but he was denied by seventeen year old Gianluigi Donnarumma, a player who was given his debut at Milan by - Sinisa Mihajlovic. Torino will kick off the 2016/17 Serie A campaign with a trip to Sinisa Mihajlovic's former club AC Milan on Sunday evening. Toro have included a number of new signings in their squad, but Spanish winger Iago Falque misses out through injury. However, Adem Ljajic, Lorenzo De Silvestri and Luca Rossettini are all expected to start. 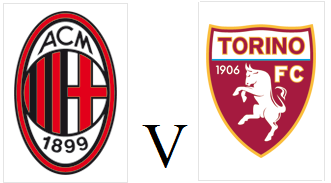 The Granata have a miserable recent record against AC Milan, especially at the San Siro, with their last league victory against the Rossoneri away from home coming in March 1985. Vincenzo Montella is the new coach at AC Milan, and their supporters will be hoping that he will be the man to turn their fortunes around after years of underachievement. Torino have continued a busy week in the transfer market by signings defenders Lorenzo De Silvestri and Leandro Castan. Right back De Silvestri arrives on a permanent deal from Sampdoria and has previously worked with coach Sinisa Mihajlovic at both Samp and Fiorentina. With Nikola Maksimovic still AWOL, Toro have increased their options at centre back by capturing Brazilian defender Leandro Castan on loan from Roma. Castan was once considered one of the best centre-backs in the league whilst at Roma, but missed almost the entire 2014-15 season after undergoing brain surgery. Now fully recovered, Castan will look to regain that form whilst wearing a Granata shirt, and has cut short a loan spell with Sampdoria in order to join the club. There have also been a few outgoings, with defender Pontus Jansson moving to Leeds United on loan, whilst Uruguayan Gaston Silva has moved to Granada, also on loan. Torino progressed through to the next round of the Coppa Italia following a convincing 4-1 victory over Serie B side Pro Vercelli. Adem Ljajic was the only new signing to start the game, and the Serbian winger made the perfect start within ten minutes as he curled a free kick into the top corner from fully thirty yards. Toro doubled their lead after twenty five minutes as Ljajic turned provider this time as his corner was headed home by Josef Martinez. Six minutes after half time, Bruno Peres fired home a third goal for the Granata thanks to a powerful strike from outside the area. However, moments later the away side got a goal back thanks to a lovely volley from striker Andrea La Mantia. In the closing stages, substitute Lucas Boyé scored the goal of the game as from twenty yards out, he flicked the ball up, before swivelling to hit a fine volley which flew into the net past Toro loanee Andrea Zaccagno. 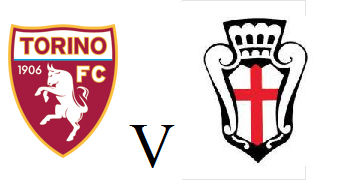 Torino will now face Pisa in the next round of the cup after they beat fellow Serie B side Salernitana on penalties. Torino will face Serie B side Pro Vercelli on Saturday evening in the Coppa Italia third round, in what will be Sinisa Mihajlovic's first competitive fixture in charge of the Granata. There has been some controversy ahead of this game, as despite Mihajlovic stating that fellow Serbian Nikola Maksimovic would start the match, he was later not included in the squad. This has fuelled rumours that he could now be on his way to Napoli. New signings Adem Ljajic, Lucas Boye, Sasa Lukic and Panagiotis Tachtsidis have all been included in the squad, as has Swedish midfielder Samuel Gustafson who only joined the club on Tuesday. Pro Vercelli, who have been Italian champions on seven occasions - the last of which in 1921/22 - are coached by former Toro player and Primavera coach Moreno Longo. Longo has used these links with the Granata to sign youngsters Andrea Zaccagno and Claudio Morra on loan, whilst former Toro striker Dominque Malonga is also in their current squad. Torino have strengthened their midfield for the upcoming season by signing midfielders Saša Lukić and Panagiotis Tachtsidis on permanent deals. Serbian Lukić is a highly rated nineteen year old who joins Toro from Partizan Belgrad, whilst Greek international Tachtsidis returns for a second spell at the club, following a brief loan spell in the 2013/2014 season, and he joins from Genoa. Hardworking midfielder Alessandro Gazzi has left the club after a four year spell with the Granata and has joined fellow Serie A side Palermo.